Most Rev. 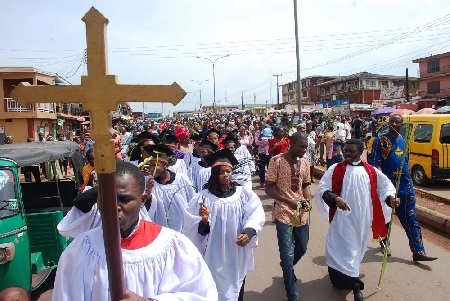 William Avenya, Catholic Bishop of Gboko, Benue state has warned of the threat of genocide against Christians in the country’s Middle Belt region. He described an upsurge of violence by militant Fulani herdsmen as “ethnic cleansing”. Local reports on Wednesday, 27 June, said extremists “slaughtered more than 200 people” in 10 mainly Christian communities near the city of Jos, although police said there were 86 fatalities. Who will protect Nigeria’s northern Christians? Every week, there are more massacres, but nobody seems to mind — not even their own government, The Spectator wrote.